As the most historical natural fibre around, linen is very easy to care of so don’t let the added stretch change your mind about that. 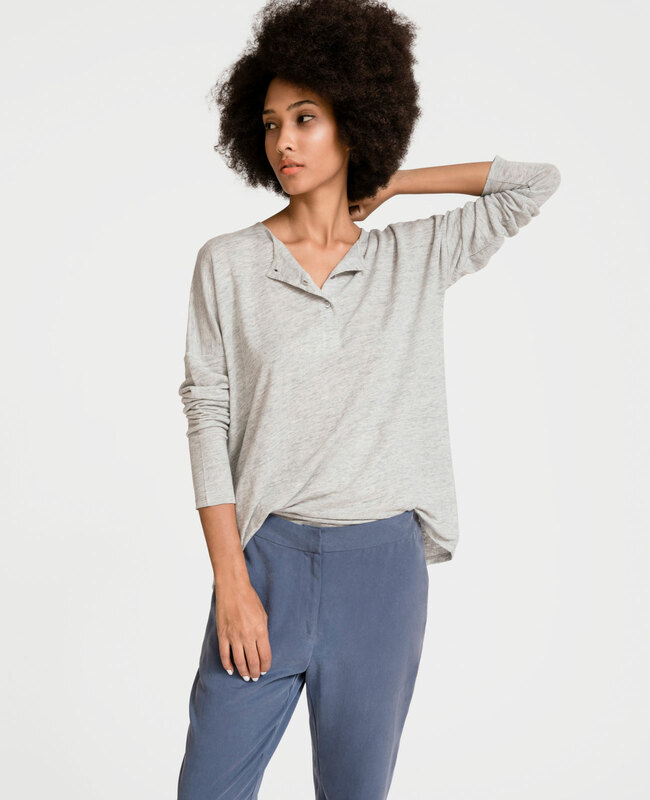 let us tell you a little about our linen jersey that we’re quite proud of: our 100% Organic Linen was sourced from France, designed in-house in Hong Kong and then manufactured in Mainland China. between Linen and Linen Jersey is that one is woven and one is knitted. Woven gives the fabric more structure while knit gives the material stretch. This way the lightweight, breathable fabric will stretch with you. of minimal living, we’re advocates of not only buying better but also caring better. So remember: Gentle machine wash cold at 30’C (as you should with all clothes anyway – it’s better for the environment!) with neutral soap, and always dry jersey flat. Check out the French Linen Jersey range made into the best essentials. The perfect fabric to live in, day in day out through the seasons.